Hideo Kojima’s name might not be on the Metal Gear Solid V: The Phantom Pain box, but that doesn’t mean your face can’t be! At the Konami booth, there is a small photo studio where visitors can have their photos taken for a personalized cover shot. This is Julien from GameBlog.fr. He was nice enough to let us sneak about and take his photo while he was getting his photo taken. Heh. And here is the custom game cover. 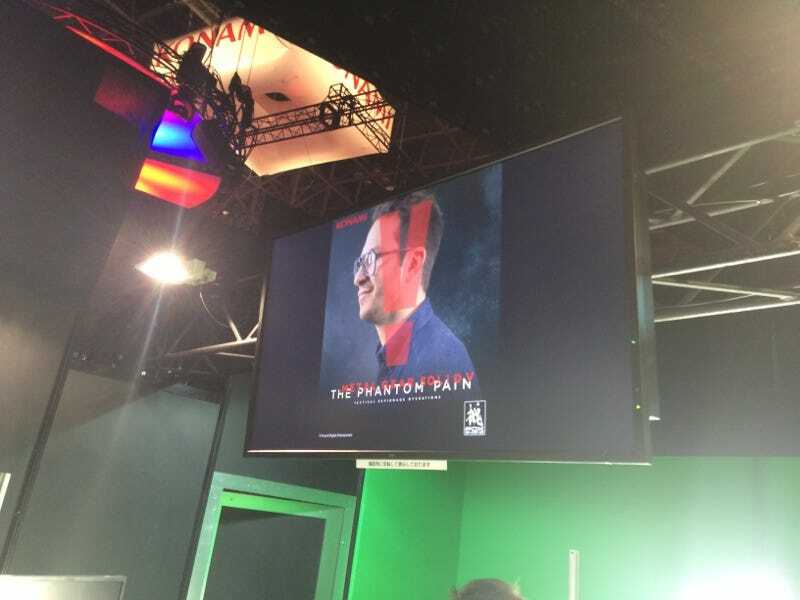 Julien says he might use this as The Phantom Pain’s game case. To contact the author of this post, write to bashcraftATkotaku.com or find him on Twitter@Brian_Ashcraft.